We have been very happy with Insight. Since we contracted with them we haven't had to deal with nearly as many pests in and around our home. Can't express how happy we are with the service we get from Insight Pest Solutions. I am pleased with the service I receive. A previous problem with tiny ants in our home has stopped, maybe partly because of the weather and aso because of steps we took inside the areas affected.Insight Pest has done a good job for us.. Always prompt service and willing to do more. Great service! The people are polite and helpful and have answered any questions I have. Our home is bug free. Our outside ant problem has been solved. I would recommend this company! I'm very pleased with your service and tell others about your company. Consistent service and communication. No sign of pests. Have had Insight Pest Solutions for several years now to secure the outside perimeter of our house and have been very pleased with their service. No bugs in the house! Technition was very professional. Came when they said they would. Completed job great. 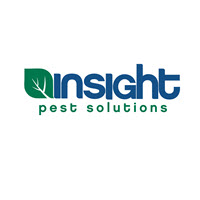 I Love Insight Pest Solutions. Since we have serviced our house over a year now there have been no pests. We used to have ugly yellow spiders all over the house and they would build their nests in the corners of the ceiling and wall and now they no longer come around. We had a lot of small ants but they are gone now. I love that they use natural ingredients so we do not have to worry about our cat or the neighbors animals. Their prices are very reasonable for all the work they do. Get their service, you'll be so happy you did. Your technician did a great job. He was friendly and enthusiastic. Keep up with the good work to keep the pests away! The amount of bugs in yard is greatly reduced. Always professional. Great value for the product. Megan has been to our house twice and did a great job explaining things both times. She's very professional and pleasant. Thank you! Good job. I pay you to do it and, as far as I know, you did it. Good communication. Always let us know in advance before service and consistently show up as promised. I have been very pleased so far with Insight Pest Service. They have kept their appointments and been in time. The tech are courteous and helpful. Would recommend them. Your people get the job done with little fussy and bother. We have seen the results over the years. the pest control guy did a great job. Have used Insight for several years now. Good service, no issues. Each of the people who came to our house took all the time needed to evaluate with me what they recommended and to make sure that the problem was addressed and solved. Everything went as they suggested and we have not had any return of the problem. I recommend Insight Pest Solutions to any homeowner with a pest problem. We have only had Insight for a year but we no longer bothered by any kind of insect. I’ve been using Insight for almost 4 years now and have been happy with their service. They’ve always been reliable and are always willing to go over with us everything they’re doing. Insight Pest Solutions has done a great job for our home and pest issues. We hope to continue to have great service and quality home treatments moving forward with them. Great business to work with!! Job well done as always. Thanks again for another great job by your service rep.
Professional and friendly staff! No pest issues here! Joy is awesome! He has been servicing our house for years. Thanks! Efficient and with follow up!! Thanks for solving our insect problems. The employees sent to my house are always pleasant to talk with answering questions when I have them.